It has been up and down. Last weekend I had a rough pain attack. My blood sugar was screwed up and I almost passed out on Joe. I felt like I had the flu and hit by a truck all at the same time. The worst case of flu I have ever had didn't even compare. My finger is getting better, but I am still having problems. I figured out how to wash dishes and type, but then I knocked a bowl onto it while putting some dishes in the sink...and it felt like it had just happened and my finger got a blueish tint to it. Go figure! It has been a really busy week and I have been exhausted. The fitness challenge that Joe and I are participating in has been interesting. Adjusting my diet to more of a paleo style, limiting my grains to almost none has really helped me. More protein and veggies. Although I do use quinoa and wild rice. My muscle mass has increased and my fat levels are lowered. Since I started this diet style, I have gone down 2 pants sizes which is great. I would like to lose 7 more pounds, but really the weight lost is not great...just trimming up. So the weight I am losing is turning into muscle. Currently I am working out a minimum of 20 minutes a day. I downloaded this great app on my kindle and found it for my iPhone too. I use that almost daily and still am speed walking because running has been difficult for me. Caty worked on her Costa Rica Projects ... can't say what yet. Next week is our meeting. She and I talked about the differences between maps and globes. We are working hard at memorizing the continents and next week will add the oceans. We worked on the Letter H. She loves watching all the alphabet videos on You Tube. We talked about where plants come from and what some of their parts are and why they are important to the plant...leaves, stem, roots, etc. We planted peach seeds from some peaches we ate. We also planted avocado seeds. Not sure how this is going to work out, so we'll wait and see. Lydia and I finished the first American Girl Samantha Reading and Comprehension Guide. We started the 2nd. We watched Disney's Pollyanna to give her a feel of the time period. She started really enjoying to sew. She worked on her projects/topics for World Travelers. She is trying so hard to read, but her brain still is confusing sounds and turning letters around. She gets frustrated, but she is still making great progress. She worked on a chart of wants vs. needs. I loved how she put Pepsi and candy under wants, instead of needs!!! Joey had a project to shop sale ads and buy enough food for himself for about 3 days for $30.00. It took some creativity and patience to keep explaining to him about making the healthiest choices possible. He at least chose bottle water over juice boxes without any prompting!! It was an interesting project to see what he would do. He is continuing to read the first Boxcar Children book. Brayden learned more about colonial America. In Science he learned about chemical vs. physical changes. Mastered his math test in standard vs expanded form. Did well working with idioms. He is struggling with attention and impulse control as we had to change meds, and are adjusting doses. So getting him to start and work on schoolwork is AWFUL!!! But he did do his work some days without much prompting, others I was doing his work at 7:30 pm. He is a challenge to me right now! We visited a local hidden gem historical museum. It was great!!! They had a traveling Smithsonian exhibit on travel in America. Kind of tied into our Samantha books. There were a couple great displays that brought the reading more alive for Lydia. Wish we could've stayed longer. Joey and Lydia had their Life Skills class at the Local extension office. Most is review, but the kids seems to enjoy it. So we will keep going. The lady that teaches it has offered to start a special series just for us homeschool families (there is another family that has been attending too). So I am working on that with them. Made homemade coconut milk again this week, which led to using the coconut pulp to make chocolate cookies. The kids seem to really like them. I made a semi-paleo apple crisp (out of honey still), so made it with coconut oil, coconut flour, a banana, cane sugar and cinnamon....oh...it was yummy!!! Baked some bone-in chicken and we used that to make fried rice and other veggie dishes. Currently Brayden has a thing for hot dogs and microwave mac and cheese...ugh. oh and Yuck. Currently reading American Girl Nicki books. Trying to get those study guides ready for when we read Nicki in October. Actually I am playing catch up. Last weekend I could barely move all weekend. So this weekend trying to catch up some. Probably clean out the girl's room and my shelves in the living room. Our office needs cleaned too. Have some outside work to finish also. We have some fun field trips coming up. Going to a local historical village next week and the Columbus Zoo. Also planning an art museum trip for a special display they have currently to go along with the War of 1812 and the Battle of Lake Erie. We also have Girl Scouts and American Girl Club, and our first World Travelers Club of the school year. Very busy couple of weeks coming up. Caty also is having her speech re-evaluated. It was a bad week for pics. I kept forgetting to take photos. You can tell I have been off my game when you hear this about me. Because my kids are the ones begging me not to take pictures! I just realized I didn't even get a picture of Lydia's Great Wall made out of sugar wafers. The kids thought that was a great treat.....I never buy sugar wafers and frosting. Just playing with watercolors and oil pastels. Caty had fun using these. I had forgot about them and they were put away someplace I would have never looked. So glad I found them! Caty's Letter H - House. The girls and I went on a trip to a local historical society museum. It was fun and we saw so many great things!! We mainly went to see turn of the century items, since we are listening to American Girl Samantha books right now. Lydia thought it was cool to see so many items that they would've used in Samantha's household. A stove like Mrs. Hawkins would have used. Rug beaters like Nellie would've used to clean the rugs. Washing machine from around 1900. Clothing similar to what Uncle Gard and Aunt Cornelia would've worn while traveling. These were great, you could see the buttons the women had to fasten with special hooks. A flashback to American Girl Addy...cowrie shells. They have a neat little 50's counter set up that Caty loves. If you are ever looking for a fun and inexpensive field trip, don't forget to check your local county historical societies. They are a great source of information and history lessons!! Hope everyone had a great week!! Linking up with other homeschool moms at So You Call Yourself a Homeschooler. 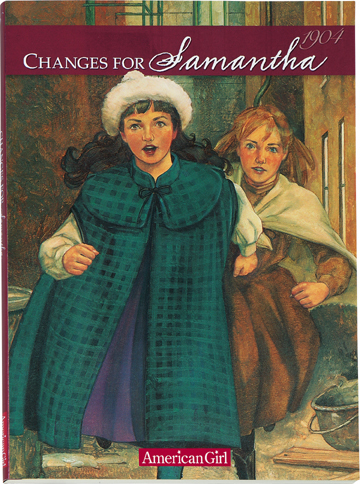 So here is the Reading Comprehension and Activity Guide for Changes for Samantha - Book 6. I tried to include some more historical topics in this guide. If you like to have the word searches, please let me know and I will include more of those in the next few. 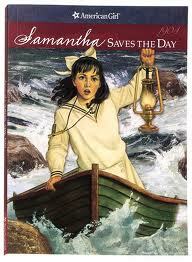 So here is the Reading Comprehension and Activity Guide for Samantha Saves the Day - Book 5. I tried to include some more historical topics in this guide. If you like to have the word searches, please let me know and I will include more of those in the next few. How many of you end up trading your X's when playing Words with Friends? I sometimes hang on to that letter. So I decided to look up some X words that we don't think about. Vocab time!!! xu - it's not a word, but scrabble considers it one!!! There are very few things in life that you can get without studying it. I would never go to a doctor who glanced through a copy of Grey's Anatomy and printed his own medical certificate from online. That would not be smart. Doctors spend years studying medicine, and they continue studying even after a medical board considers them to be knowledgeable about the subjects. Studying and not just reading God's Word is a very important part of building a relationship with our Heavenly Father. No matter how much you study, there is always something new to learn or points that we need refreshed on. As adults we have a difficult time with this task, but what about our children? Doorposts has an option for parents to help their children to develop strong personal study habits. 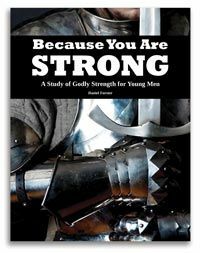 Because You Are Strong by Daniel Foster ($12.00) is a personal study guide for boys ages 12 and up that teaches practical Bible study skills. The Bible is the Christian symbolic Sword. They can use scriptures to help fight off the adversaries that attack their faith. Only through study though is it possible to know what is in this precious "weapon". Because You Are Strong helps boys to become more knowledgeable about their Bible by providing 10 in-depth studies on Biblical heroes like David and Samson. It shows them how Jesus loved people while he was on Earth and opens them up to wisdom from Proverbs. You can view a sample chapter by visiting here. Use free Bible study tools on computers and mobile devices. We had the opportunity to try the print copy of Because You Are Strong ($12.00), but you can also purchase an ecopy for $10.00. Joey and I tried to use this book together. He had a really difficult time using this. This was not the fault of the book, it is well written and very thorough. Joey has a hard time "thinking outside of the box". There are several thinking questions each day, which are there to help children learn how to defend their faith and really search in their Bibles and their hearts. This task is still very difficult for Joey. He is slowly tackling reading the Bible and understanding what he reads. I really like the set-up of Because You Are Strong. Each study includes a different study technique mentioned above. There are reminders about how to have a meaningful study....something we all could use, not just boys. Words that might be confusing are explained. It encourages extra study. Gives them ideas on what topics look up further research about. Thought provoking questions, that really "force" the student to look into their Bibles for the answers. Suggested apps for those technically advanced students. It contains 74 days of study, plus 40 more suggested studies....enough for more than a year. There are daily assignments broken down into roughly 5 - 20 minutes for each day. This study really is no-fuss planning for parents, and all knowledge for their children. It could be used as part of your child's daily curriculum or as a study on their own. They can work independently or with a parent to study the material. Would I recommend this program to parents? Yes! It is aligned to be used with any personal Bible and Bible study aids. It encourages meditation on the scriptures. Will I try it again with Joey? Yes, this is one that we will bring out again in a few months and see how well he does. Because You Are Strong is really a great teaching aide for your child. Several members of the Schoolhouse Review Crew were able to use either Because You Are Strong or Beauty in the Heart. Please take some time to visit their blogs and see how these study programs worked in their homes. We have a borderline quiet week......I don't want to say that too loud though! Joey will have guitar, but no sports have started back up yet. The girls and I are going on a field trip to a local "hidden gem" museum to view a traveling Smithsonian exhibit on the American Automobile. It will go along with our American Girl Samantha reading. I have a doctor appointment to check my hand.....and that is it, except for my mom's physical therapy!! Whoohoo!!! Joey will reviewing borrowing in subtraction, along with consumer math. Science he will be reading about amphibians. History is the American colonies growing after the Pilgrim's colony. He will continue reading the first Boxcar children book, including using the comprehension question guide. Grammar he will practice adjectives. Brayden is into reading Spongebob books...so as long as he's reading! In Math he will start estimation. Science, the differences in chemical and physical changes in matter. History, he'll be reading about life in the early English colonies. 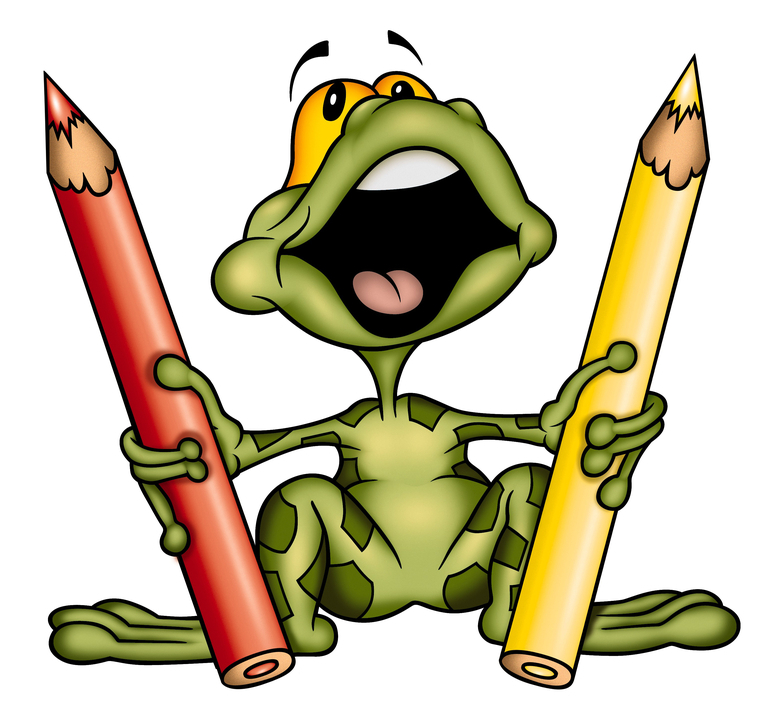 Grammar he will finish a unit on Homophones and learn more about idioms. He is also working on some vocabulary improvement exercises. Lydia will continue with Ancient China....terra cotta soldiers and the Great Wall. We will continue reading the American Girl Samantha book 1 and start book 2. In Math, she will be starting the same consumer math as Joey. Science we will continue the parts of the body. She decided on her projects for Costa Rica, so we will be working on those this week also. Of course there is also her reading and phonics weekly work. Caty is working on the Letter H. I am Happy, Happy, Happy....lol. She hasn't shown a love of all the little AG club projects yet, so she is just reading Samantha with us. She chose her Costa Rica project, so we will be working on that. In Science, seeds and plants. In math, shapes...a few new ones to work on. I have a couple art projects on the list too, just in case she feels artsy this week. I never know with her! Hope everyone has a great week!!! See you at the Weekly wrap up! We had a weird...weird week. Things seemed to be going well, even with the normal chaos. There were doctor appointments, workout sessions, World geography meals, and just other weirdness. But then I got hurt Thursday afternoon and the day just sunk down and Friday got worse...and Saturday was a blur. I am healing now. My finger was cut open by our electric hedge clippers. It was a freak accident. But my left index finger is out of commission for about 10 days with stitches. It's making typing a challenge. The tetanus shot was a whole other story. Between the trauma and then the shot, I had a massive fibro pain attack....which lead to me not leaving the couch after I almost passed out from all the pain. (Yeah...no pain meds because of my allergies..ugh). I can move the arm the shot was in...took a couple days and lots of essential oils. But the actual injury site is an issue to get healed now. All in all we did have a good week. There were a few stray assignments we finished up over the weekend. This was my first week testing the kids with a full 5 day workweek. Because it was summer, we have been working at 4 day. I allowed them all week to finish the 4 days assignments though. So I really think the kids did well. Even Brayden finished up most of his work this week!!! This week Lydia started learning about Ancient China. In Math she continued working on addition facts. We started the first Samantha American Girl book, made it to Chapter 5. She actually started her own project of hand sewing a pillow for her doll. She is suddenly into sewing. and then worked at "sewing" it. The girls and I went to the farmers market to get some yummy veggies. Caty worked on the Letter G this week and we started Learning the Continent song. This was was her art coloring pages this week. Stewed chicken with black beans and rice....everything was from scratch. It was very yummy!!! Lydia loves this part of International studies!!! The girls took a pottery class and made owl bowls. We get to go back in two weeks to paint them!! I think Brayden is enjoying using Time 4 Learning. He still fights about schoolwork, but this week he did work independently on several of his assigned tasks!! I was very proud of him!! Joey worked really hard too. He is still using All in One Homeschool. Each week I type up his daily assignments and send each individual day in separate emails. He works through each days assignments. I change up some a bit, such as he is reading Boxcar Children right now instead of doing poetry. He was really struggling, and I needed to change that up. In math, he is working on wants and needs. I have been creating a Consumer Math unit for him the next few weeks. Joey and Lydia also took a class at the County Extension Office about stretching your food dollar. Turns out we have already been doing the majority of the suggestions. We need to work harder on impulse buying at the grocery store. Or trying to plan our meat meals around sales. But I think we may just start visiting a local meat market and buy 1/4 of a cow. That will make meat cheaper than watching for sales. Take some shopping time out for me too. But will include Joey on figuring those prices too. I hope everyone had a great week!! !